A job application letter is a document which is attached with a resume to highlights the credentials of the applicant that make him suitable for the job. It also provides additional information regarding the experience of the applicant that are not covered in the resume. An application letter for any job position is generally required. The main highlights of a job application letter are – employment history, qualification, education background, and references. 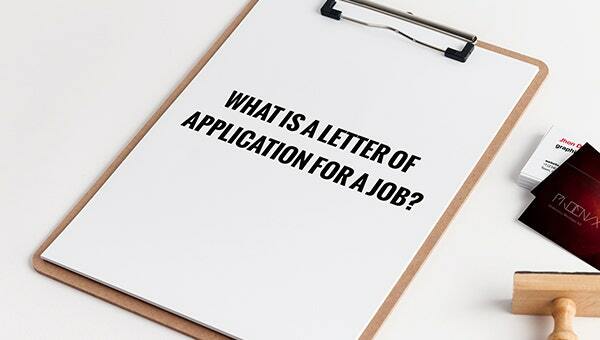 Why is Job Application Letter Important? A job application is a factual document that states career and employment related facts about the applicant and is different from a resume and cover letter. A cover letter for resume tries to highlight the significant achievements of the applicant. You can also download our pre-designed cover letter for an easy solution. 10+ Cover Letter Templates and Examples. Employers use the letter of application for a job to take out maximum information from the applicant to make the selection process fair and easy. Sometimes a resume is not enough to identify whether or not the applicant is suitable for an interview for a particular position. In such situation, a job application letter plays a crucial role in deciding if the candidate is to proceed forward for the interview or not. It also helps in identifying references that further helps in a background check. As a job seeker, the advantage that comes with a job application form is that you get an opportunity to lay a perfect first impression. You can use a job application letter to get an upper hand right at the beginning of the selection process. It is the way you represent yourself in the job application letters decides how far you will go in the selection process. With the help of a job application letter, you can get a hint about the potential interview questions. You can prepare for the interview well in advance and strengthen your chances of selection. You must’ve seen that simple job application letter and cover letter are often used interchangeably, however, today we are going to list down few differences that exist between the two documents. The major difference between the two is that cover letter is very brief, a mere teaser that points to the most significant details of your employment and educational history that is relevant to the position. An application letter, on the other hand, is a detailed document that describes the educational background, employment details and salary details. You can also download our Free Application Letter Templates & Samples for an easy solution. Apart from this, the formats also differ in terms of details and extensiveness. Sometimes a job application is not required to be attached with the resume but a cover letter is always attached with a resume. Use a Business Letter Format when writing a job application letter. It looks professional and sets a good first impression. Make sure you include the job specifications mention in the job post to make the application letter relevant. Mention how your skills and experience is pertinent to the specifications mentioned. Start directly by mentioning the position and why you are applying for the position. Make sure the application letter is different from your resume and does not go on repeating what your resume has already told the employees. The resume is already attached with the application, therefore, it is important to give the employer something new and different from the resume. Include examples and narrative about your work experience which will be relevant to the position you are applying for. Close the application letter with all important details which also includes contact information. Before you forward your job application letter, give it a read through and also ask someone capable of editing the application and proofreading for grammar and spelling errors for you. This will help you get rid of the language errors. Employers hardly overlook errors like these.